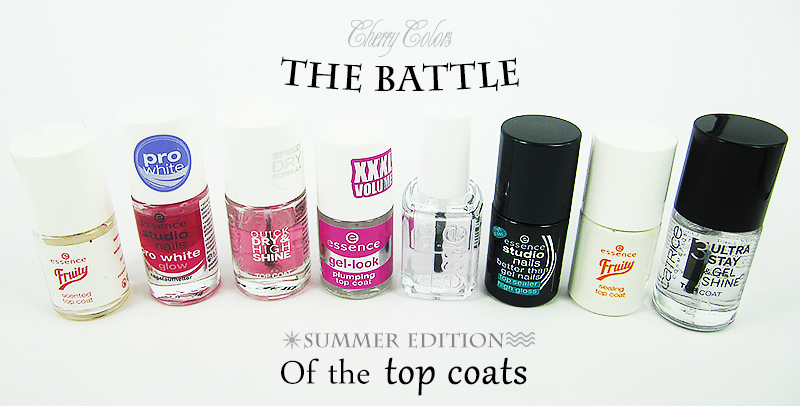 Battle of the Top Coats [Summer Edition] - Cherry Colors - Cosmetics Heaven! The Summer is leaving us and with it comes Autumn. I wish this Summer had more hot days, but at the same time I can't really complain. I promised my readers the Summer edition of the Top Coats battle and got somewhat carried away by life. But here it is, so please enjoy! This post may not be actual during the colder days but for the warm upcoming days I feel it is still relevant. I totally bought this top coat simply because of the promise of a nice smelling manicure. In terms of quick drying and all that fun stuff, it is average. Nothing too special comes to my mind about it. Except the scent. It's well, fruity and artificial. I remember buying this polish a year ago because it has a violet tint to it which help with yellow tones in the nails. And what to say? It does help a lot with making your nails look wonderful even when in truth they are stained yellow. So it's a great top coat that also dries quickly. I can't believe how many top coats were discontinued in the last year o.O. 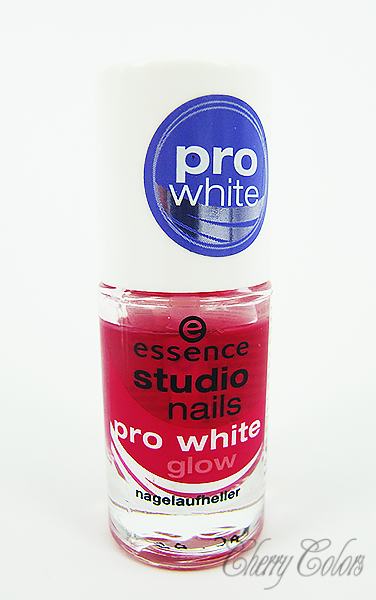 I use this one just for red polishes because they usually leave some pigment on my top coats. It is an average formula, not too thick or thin and it dries in a while. Not a too great top coat to be honest. 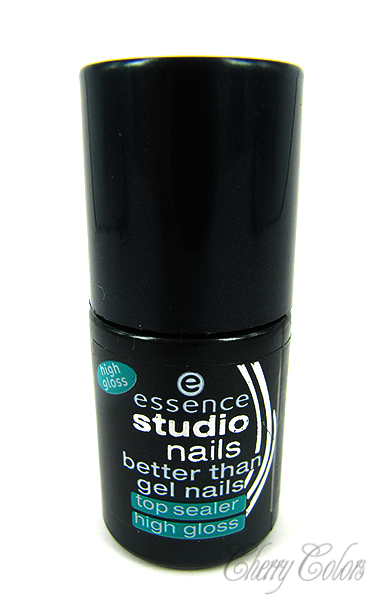 Hooray, a top coat that is still available in stores. It's a nice and cheap ones and it dries quickly. I like that my nails look so nice and glossy even when they are a couple of days old. Plus the thing that is very important to me - it doesn't smudge nail stamping designs. I think this is one of the best "cheap" top coats in our stores. 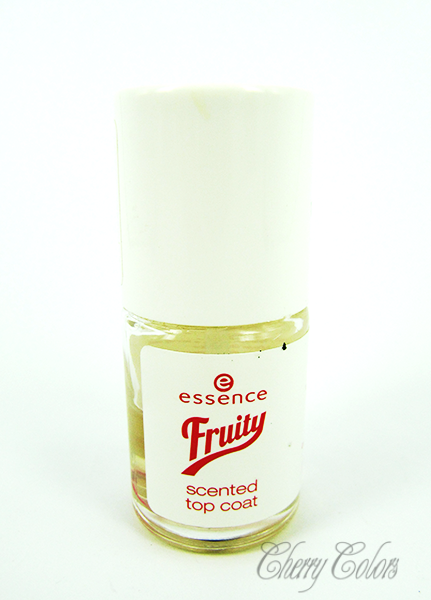 I swore by this top coat for many years. I think this must be my 5th or 6th bottle. I am not exactly sure. It dries quickly and that is the best thing about it. Sadly it goes all gooey once you hit the 1/2 of the bottle mark. That isn't too great for such a price mark. It's still a very great top coat, but it smudges stamping designs. Truth to be told, I never saw the appeal of this top coat. I mean it's not too shabby. But the slight yellow formula (even on the nails) changed the color of my base colored polish a tiny bit. The drying time is average and I'm not too impressed. I am sure that there were people that swore by it. Why? I am not exactly sure. 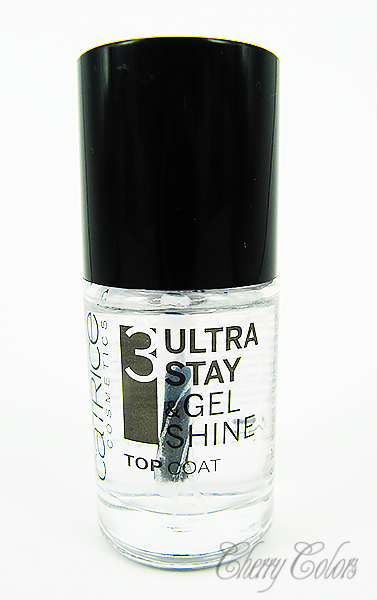 Similarly to the top coat from above (Top Sealer High Gloss), this top coat comes in an opaque bottle and the formula has a slight yellow tint. It smells nice and it helps seal the nail polish in. It takes quite some time to dry and that's what I didn't really like about. 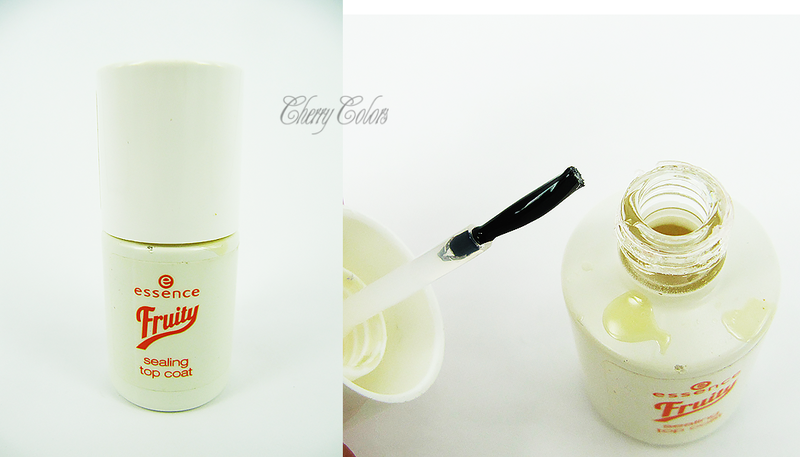 I bought this top coat with the corresponding base coat and I can say that I wasn't expecting much. But truth to be told it is great. 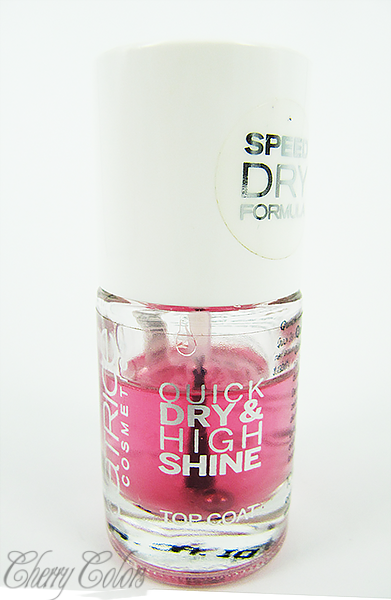 Dries quickly and has a nice shine that lasts for days. It also doesn't smudge stamping designs. 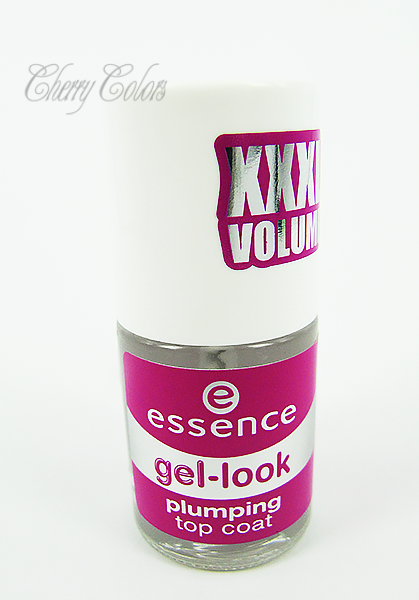 It is very similar to the Essence Plumping top coat, but at a higher price. This top coat is great! Considering all the top coats I own I think the best ones for Summer and warm days are definitely the Catrice Ultra Stay & Gel Shine Top Coat (~4€) and the Essence Gel-look Plumping Top Coat (~2€). But considering the little noticeable differences in the effect and the bigger difference in the price, I'd say the absolute winner is the Essence top coat! I would also like to add that no matter which top coat you are using, having some quick dry drops or quickly dry spray helps with the drying time a lot. 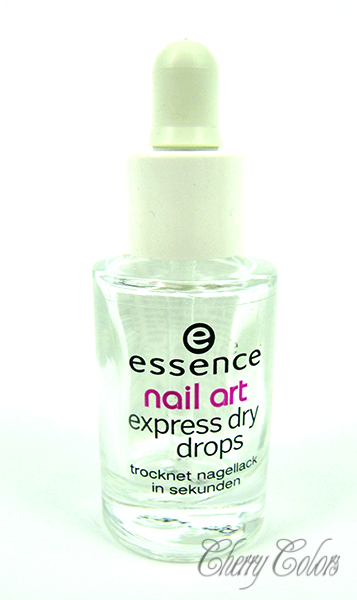 I like to use these Essence quick dry drops because they are affordable and do their job well (thus making my manicure dry in a 1/2 of the time needed normally).